New Rabbitohs coach Wayne Bennett has come out swinging in support of Greg Inglis, blasting suggestions he is fat and declaring the Queensland Origin champion will not be a spent force at fullback. As Inglis prepares to return to running following a knee injury, Bennett set the record straight about his captain's weight issues. Inglis was last week rocked by suggestions he is in the worst shape of his career amid speculation he had put on a whopping 15kg following a knee injury and an off-season holiday in Bali. 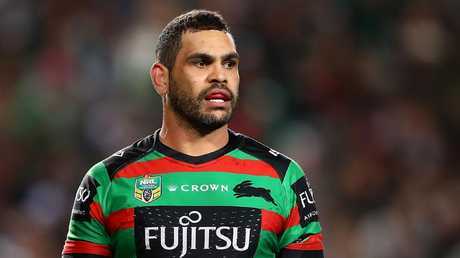 But Bennett allayed fears Inglis is entering his penultimate season in a poor state of health, saying the Rabbitohs skipper will begin conditioning work next week primed to fire in the No.1 jumper. "Greg Inglis is not fat," Bennett told The Courier-Mail. "Any suggestion he is fat is ridiculous. This talk of him being 12kg or 15kg overweight, that's way over the top. "I saw Greg when he first came back to training and he's fine. "The truth is Greg came back about four or five kilos overweight - not 15. "He is currently 106kg. His normal playing weight is around 101-102kg so we aren't far off with him. "I could name a stack of NRL players who come back (to pre-season) carrying a few kilos and no one ever carries on about that. "Greg had an extended off-season, and he's also had an injury, so naturally he's not going to be in the best shape of his career. "But I'm hoping Greg will start running next week and then we will start building. "With a few weeks of training behind him, Greg will be back to his peak condition." Inglis will retire at the end of the 2020 season. Photo by Mark Kolbe/Getty Images. 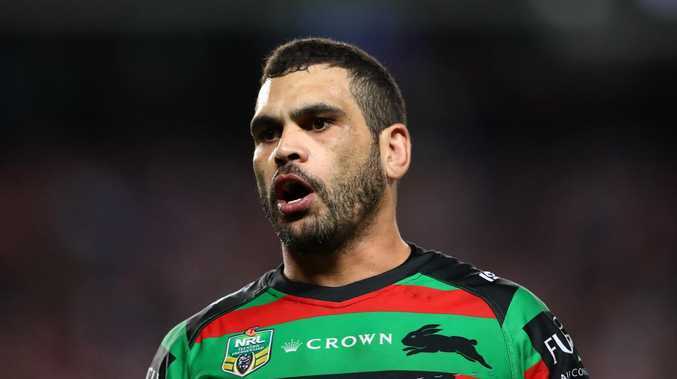 Inglis was magnificent at fullback in Souths' charge to the premiership in 2014, but now, at age 32 and having played 261 NRL games, there are concerns as to whether he can cope with constant running from the back. Elite fullbacks such as James Tedesco, Darius Boyd and the recently-retired Billy Slater can cover 7-9 kilometres in an 80-minute game, but Bennett is adamant Inglis can reprise his backfield dominance. "I've asked him where he wanted to play and he said fullback," Bennett said. "I said that's fine mate, that's OK with me. I've spoken to Alex Johnston about Greg playing fullback and he's on board with it. "There's a lot of great fullbacks in our game and they all play their way. Greg was a magnificent fullback a few years ago and he's always been a fullback in my eyes, so I don't have any problem that he can do well there again. The move to fullback will test Inglis to the limit. Photo by Cameron Spencer/Getty Images. "The beauty of Greg is that he is a wonderful athlete. He is a big-sized man and he will always beat a little bloke. "The fact is South Sydney and Queensland need him and he still has plenty to give, so I'm not worried about Greg still performing." Bennett is the greatest coach in NRL history but, at age 69, he is deriving fresh joy working alongside a possible future Immortal in Inglis. "I'm excited to be working with Greg. He has a smile on his face and is communicating well with me," Bennett said. "The good thing is Greg has sorted out his future (he will retire at the end of 2020), so he has that peace of mind. "I can't wait to get my hands on him as a player. He is still enthusiastic, he cares about the boys and is hungry for more success."